Master Chef Rich Rosendale delights local residents with his internationally-acclaimed culinary talents. We are lucky enough to have in our midst renowned Master Chef Richard “Rich” Rosendale. 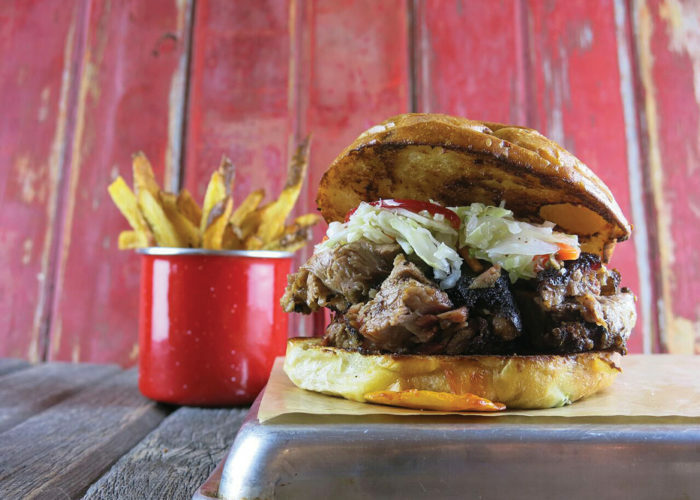 As proprietor of Leesburg restaurant Roots 657, Chef Rich is bringing his culinary skills home. One of America’s most award-winning chefs—and one of only 70 Certified Master Chefs in the entire United States—Rosendale has amassed more than 50 national and international medals, including a perfect score at the international level. And if that isn’t enough, you may recognize him from his starring appearances on more than 50 episodes of Recipe Rehab and on several Food Network television specials. Rich Rosendale grew up in southwest Pennsylvania, delighting in his grandmother’s Italian cooking. “Since I didn’t know what I wanted to do after high school, I got a job in a local kitchen. I loved it. This started the fast-paced whirlwind that has taken me all over the world and allowed me to cook for presidents, dignitaries and TV stars,” he said. With a two-year degree from culinary school and a three-year apprenticeship, a first job was at Nemacolin Woodlands Resort in Pennsylvania. Rosendale then accepted a position at The Greenbrier in West Virginia to run their fine dining restaurant, The Tavern Room. 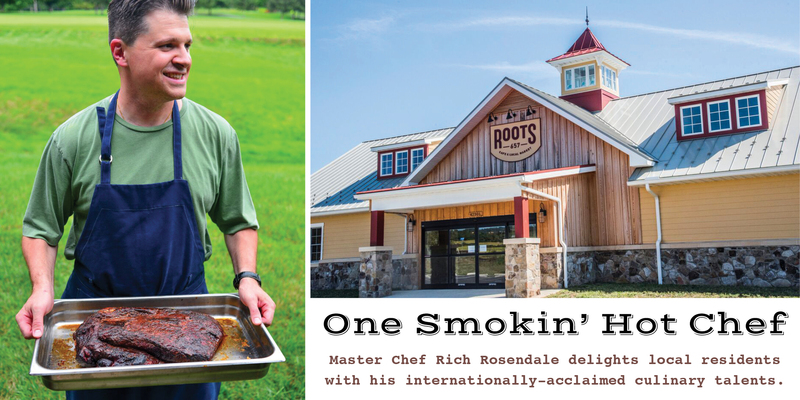 At age 30, Rosendale moved to Columbus, Ohio and opened his first restaurant—Rosendale’s. It was critically acclaimed and named Best New Restaurant locally. He opened his second restaurant there in 2008. In 2009, The Greenbrier invited Rosendale to return as executive chef, to oversee the entire food and beverage operations including 18 kitchens, a 44-acre produce farm, the apprenticeship program, casino, and 185 chefs. He was the youngest executive chef ever appointed at The Greenbrier. 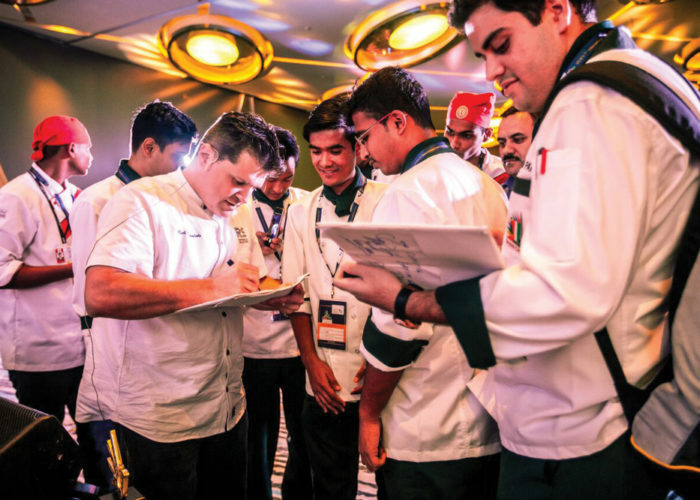 When Rosendale entered the Bocuse D’Or competition finals in Lyons, France, The Greenbrier built him an exact replica of the French kitchen in its underground bunker expressly for training his team. In 2010, Rosendale passed (on his first try) his Certified Master Chef (CMC) exam, a 130-hour, eight-day examination held in Hyde Park, NY—the highest level of certification a chef can receive, with a 90% fail rate. Rosendale was the youngest member ever of the American Culinary Federation (ACF) Culinary Team USA, was named ACF Chef of the Year in 2005, became captain of the team in 2008, won gold at the preliminary competition for the Bocuse d’Or competition held at the Culinary Institute of America (CIA) in Hyde Park, NY, and was awarded the Presidential Medallion by the American Culinary Federation for his contributions to the culinary arts. 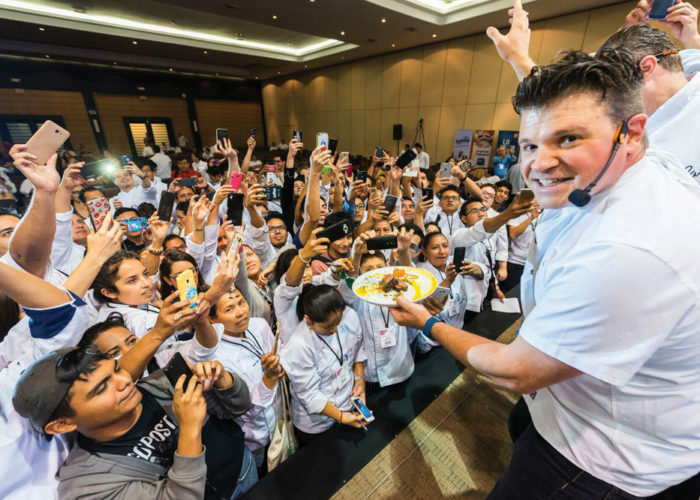 He was also one of the five chefs representing the United States in the 2004 World Culinary Olympics (The International Exhibition of Culinary Art) held in Erfurt, Germany every four years. Their team ranked #1 in the world among the 32 teams. Rosendale did not win that year—he scored 7th—and has become a stalwart coach for subsequent teams, assisting U.S. candidates to take silver in 2015 and America’s first-ever gold in 2017. “Although I loved The Greenbrier, I left there in 2013 because my wife and I wanted to move closer to a metropolitan area to offer our three children more.” He chose Leesburg. “I was quite popular when I first moved into my neighborhood. Even on Thanksgiving Day neighbors were asking me how to spatchcock a turkey, and gathered around to watch, like a cooking demo,” he laughed. Now 42, Rosendale operates two businesses: Roots 657 Restaurant and Market and the Rosendale Collective, offering cooking classes and events around the world. At Roots, you’ll find a delightful selection of everyday casual-fare soups, all-natural hamburgers, smoked meats, freshly-baked breads, and from-scratch desserts. “Simple, fresh and local, it’s not intimidating, yet you can tell that the quality is there,” he said. Roots 657 is named for its location at the intersection of Routes 15 and 657 in Leesburg and sells local products from local growers, artisans and wineries, along with items found in Rosendale’s travels, like Ecuadorian chocolate. In the spring, Rosendale will add a pergola, solar panels and a live-fire theater outdoor grilling area, and cover the outdoor patio where he will hold cooking classes. Roots is designed to be eco-friendly, with geothermal floors, radiant heat, and eco-friendly pots and pans that conserve on natural gas usage. “I like to say it’s rustic, with a level of refinement,” he added. In 2018, Rosendale will launch a series of classes, both professional and novice, ranging from two hours to two-day intensives such as barbecue and grill classes, including those offering professional chef continuing education certifications. You might find a Michelin star-rated chef sitting alongside a local foodie. Don’t miss your opportunity to meet Chef Rich, taste his culinary creations, and learn from the master—master chef, that is.